What a lucky girl I was! 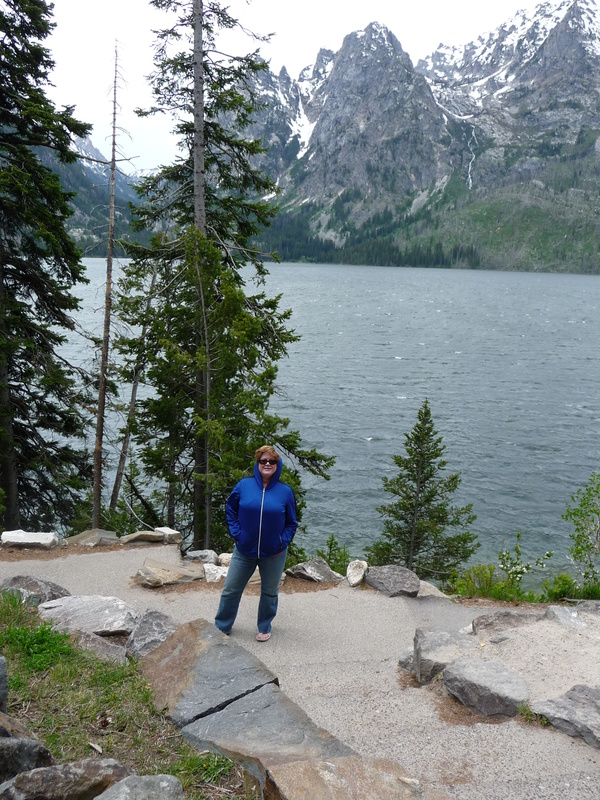 I got to visit Grand Teton National Park for my birthday! We started the day out at a small but very cute local restaurant where I could get French Toast for breakfast and hubby could get whatever his heart desired also – including live World Cup games. It was divine!! 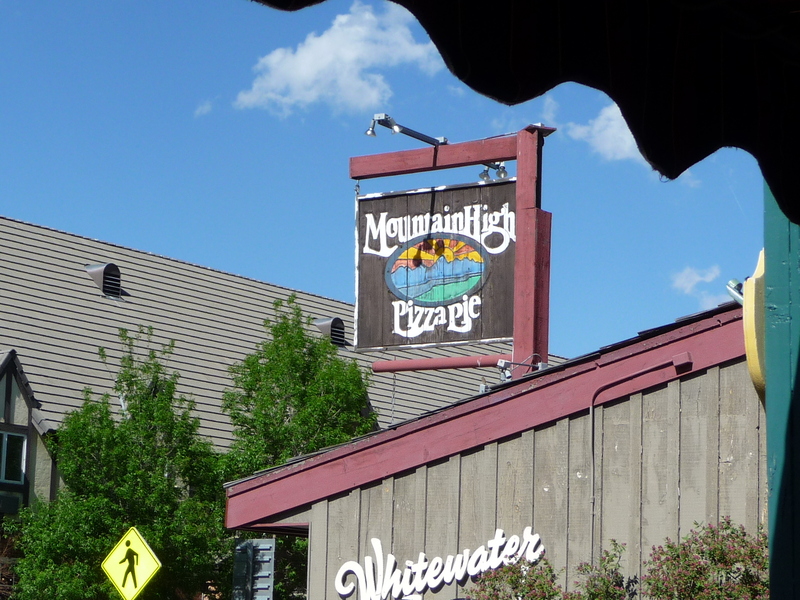 If you are ever in Victor, Idaho – eat at “Scratch”. 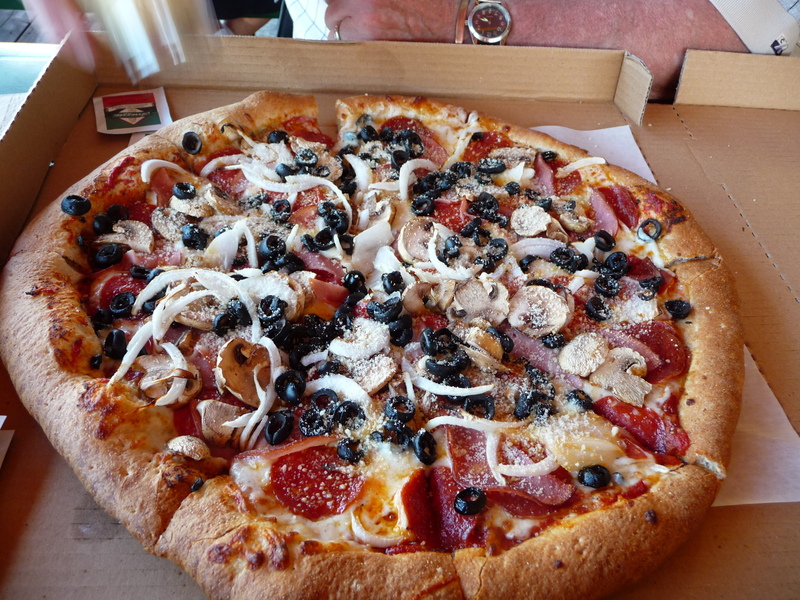 Really, really yummy. After breakfast it was over the “Teton Pass” and down towards Jackson Wyoming and Grand Teton Park. It was a cloudy morning as the picture shows. But, as I may have said before, the weather in this neck of the woods literally changes minute by minute. 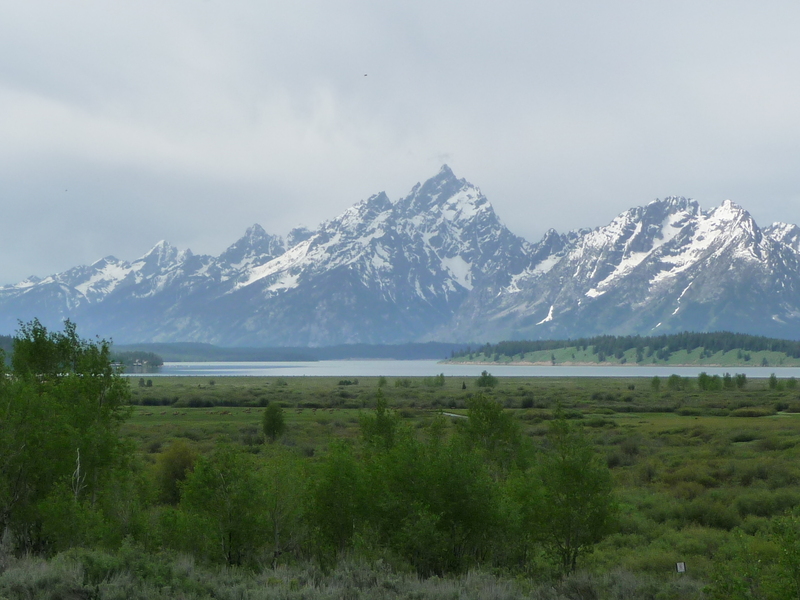 The Tetons are simply magnificent, sunny or cloudy. 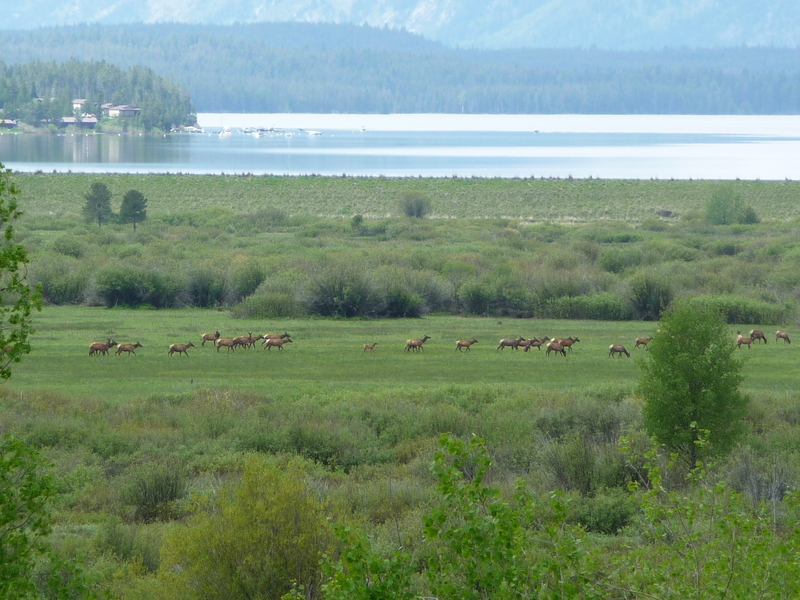 In the photo above, about the middle of the picture on the left side (very hard to see without enlarging) is a herd of Elk, roaming near Jackson Lake. Here’s the zoomed in shot – but you’ll need to enlarge it as well. The sun came out a bit later, and the “birthday girl” made an appearance near Jackson Lake Dam 🙂 Another sighting of the “birthday girl” in a bit of a windstorm near Jenny Lake. Wow, the weather got rather wicked really quickly! Literally 10 minutes down the road, the sun broke through the clouds again – and we were glad it did! Then it was on down the road, quickly while the sun still shone, to the Episcopal Chapel of the Transfiguration. 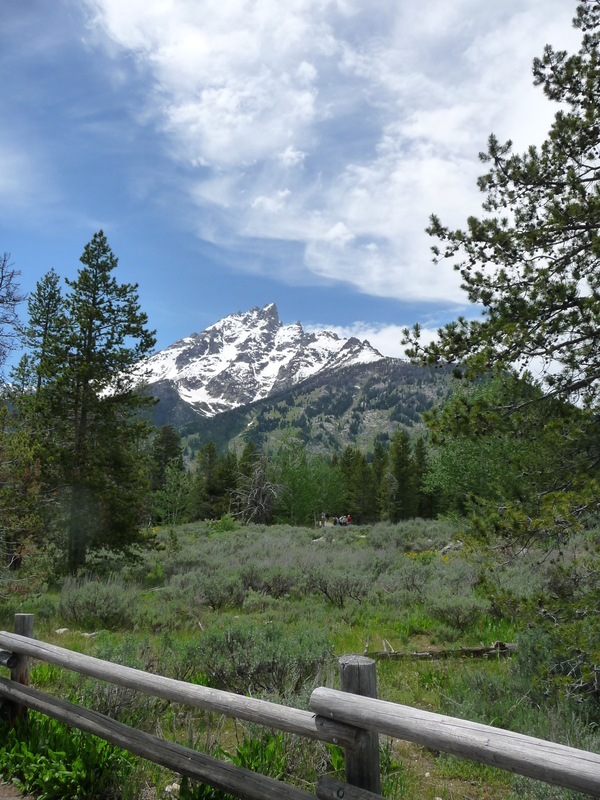 A very popular photo spot in Grand Teton. Luck was with us, they had just finished a wedding at the chapel as we arrived. 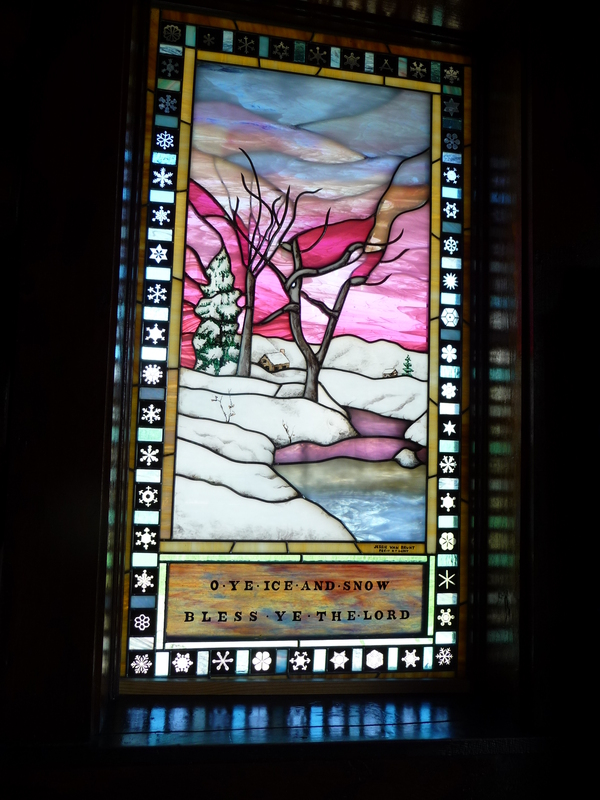 This stained glass window was inside the Chapel, not far from the entrance. I thought it was quite fitting. 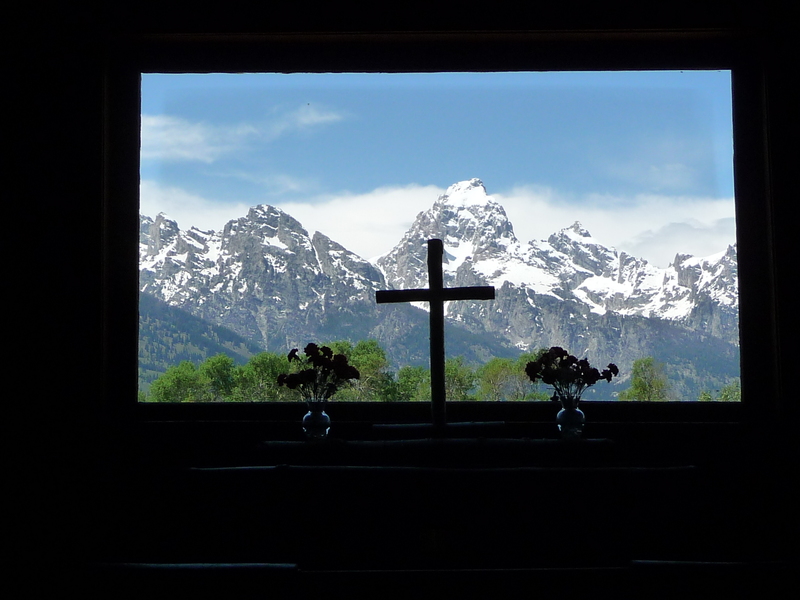 The altar inside the chapel… What a view! It reminds me of a church we saw when we were in Juneau, Alaska. 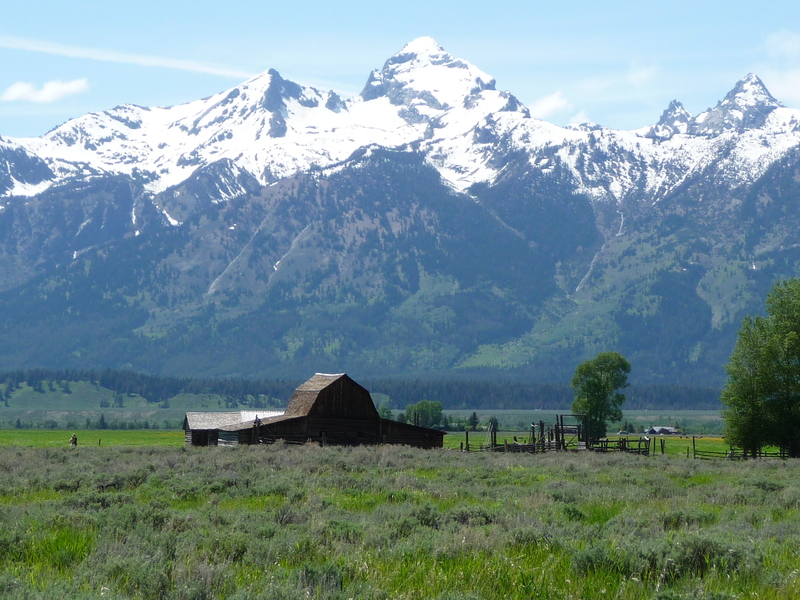 From there we trekked to the old barn on “Mormon Row” – the most photographed spot in Grand Teton. I think it would be particularly stunning in autumn. Believe it or not, the wedding party were out by the barn as well! We couldn’t believe it when we saw the limo in the same general vicinity. I think they were there snapping more wedding photos on this sunny afternoon. From there it was on to Jackson Hole. What a CUTE and very “Western” town it is. 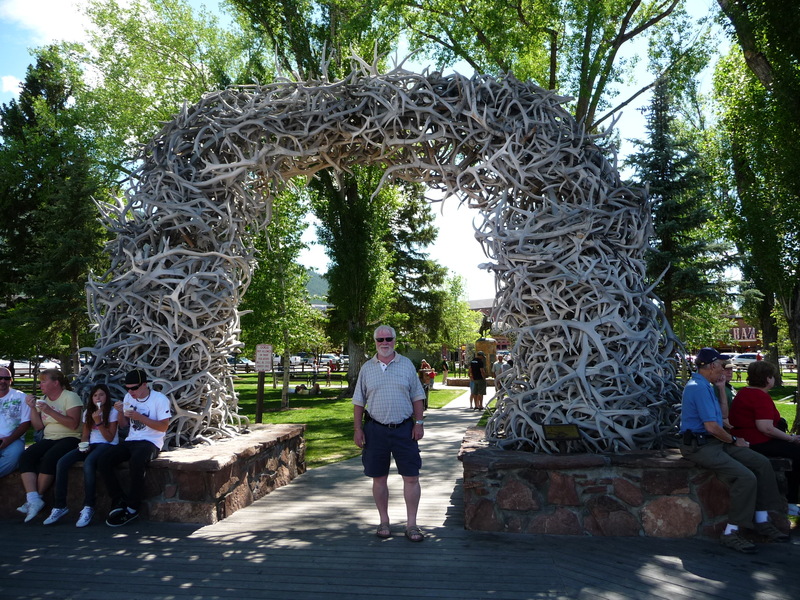 Here’s hubby in one of the four Elk Arches which lead into the town green or square or whatever they call it! I am so thankful that John has recovered enough from his hip replacement surgery to make this journey. What a blessing! 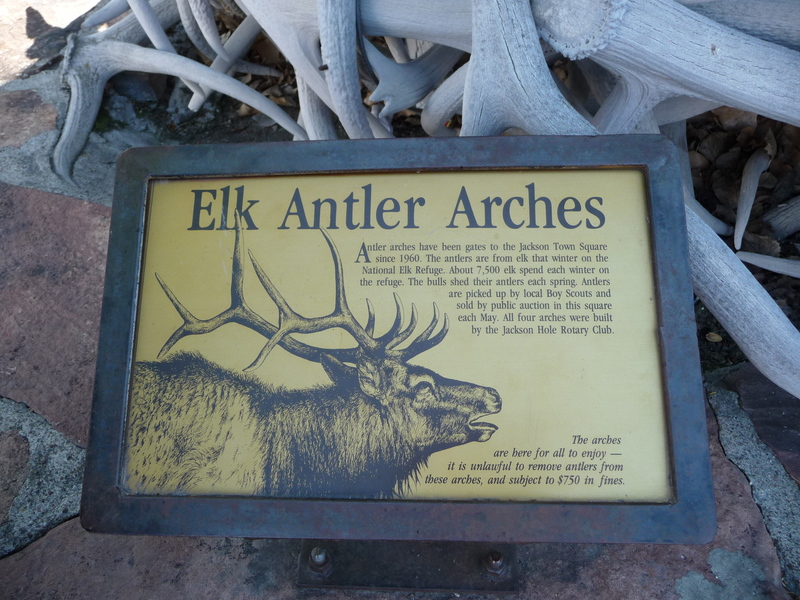 Here is a sign that explains the Elk Arches. 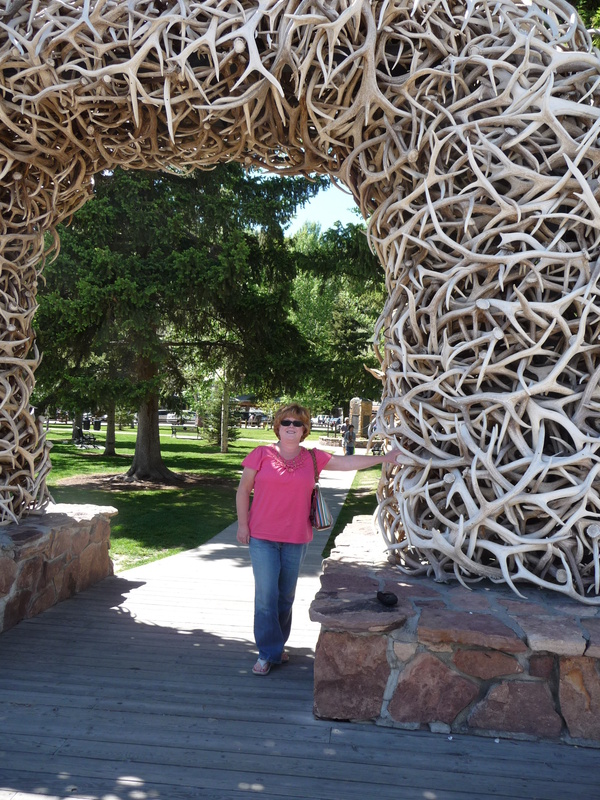 Not to be outdone, the “birthday girl” was also seen under the Elk Antler Arches!! We did wander into a few of the MANY shops. Here’s a t-shirt that caught hubby’s eye…. Soon it was time for the birthday dinner – and people, it was extra delicious!! 🙂 Well, there you have it. 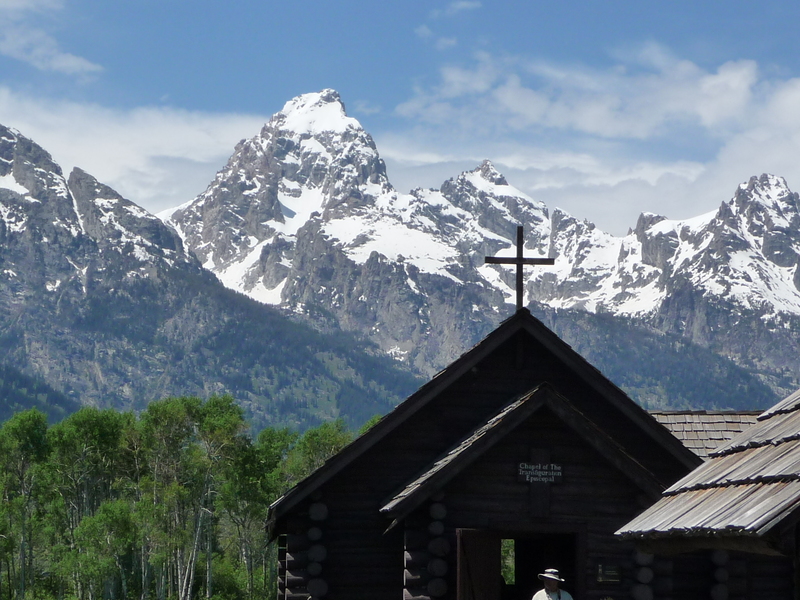 The birth-day in Grand Teton and Jackson Hole. It was a fabulous day!! On June 26th, we spent the entire L-O-N-G day driving 380 miles from Victor Idaho to Missoula Montana. I took no photos along the way since a lot of it was backtracking. Tomorrow, another post showing some of our drive from Missoula to Walla Walla, Washington. And maybe a few shots of the wine tasting we hope to do here in Walla Walla. 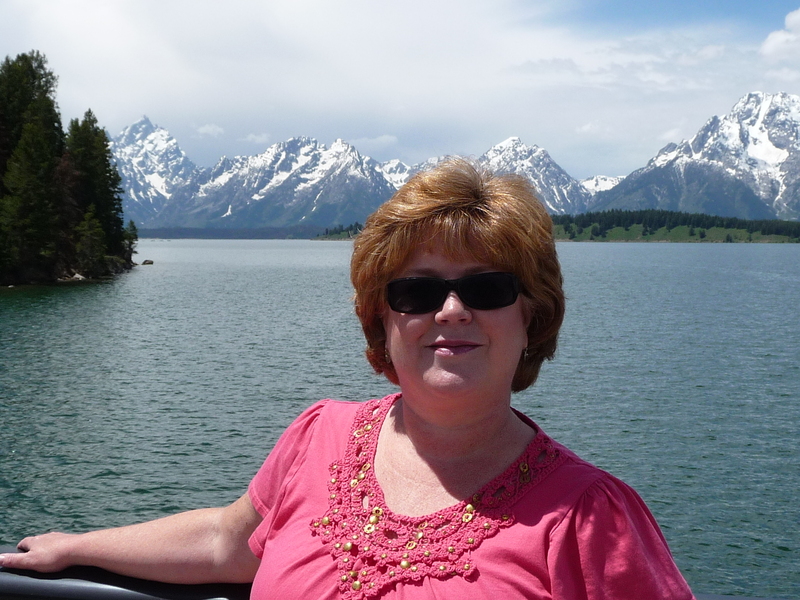 This entry was posted in Winnebago Journey and tagged birthday, Grand Teton National Park, Jackson Hole. Bookmark the permalink. So glad to see that you had such a spectacular birthday Susan. What incredible scenery captured on your camera and the food sounded mouth watering too! Comiserations John with the soccer…..they were robbed!!! 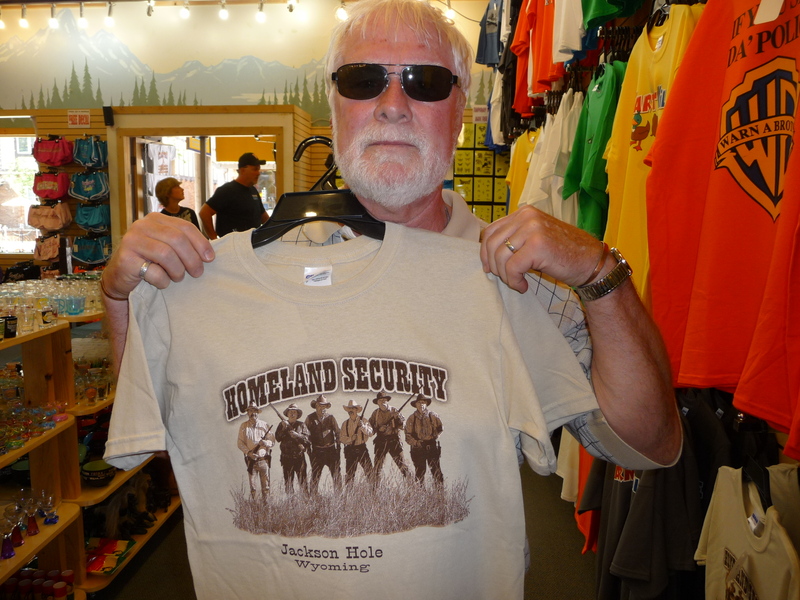 What a great summary of a day in Jackson Hole! It’s truly a magical place with, as you so well pointed out, plenty to do!